10.5" x 13.5" limited edition of 50 signed prints. Produced on acid free Classic Cream Canson paper. 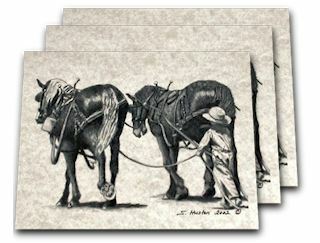 Each print shipped with a Certificate of Authenticity signed by the artist. 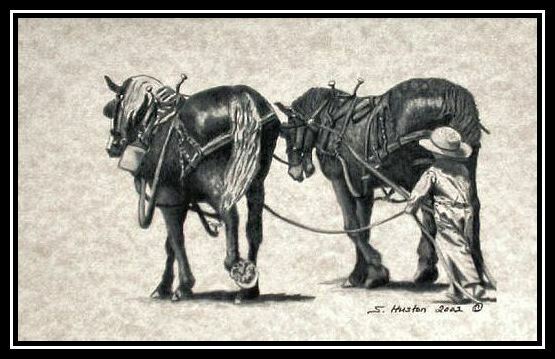 For those of you who wish to order this limited edition print double matted and framed in black it is available for $130.00 + s&h Please click here to view framed print . 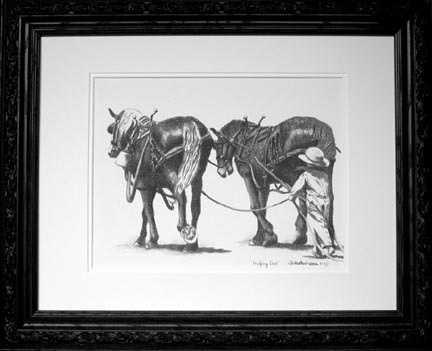 Each framed print includes a Certificate of Authenticity signed by the artist and is ready to hang. Printed on Acid Free Antique Parchment with matching envelope. Shipped in a clear protective sleeve. 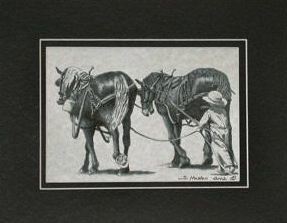 Suitable for framing Makes a wonderful gift for any Draft Horse Enthusiast.